DATE CHANGE: Please see instructions below if you had tickets for the Feb. 9 shows. 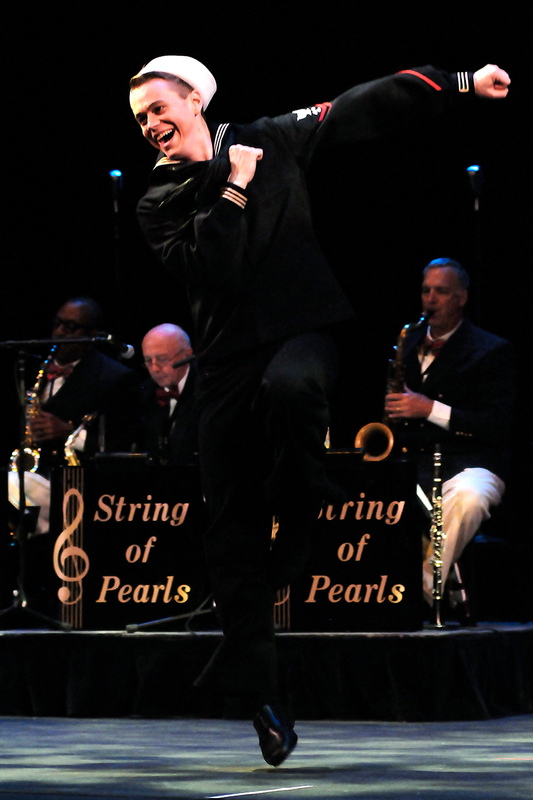 Backed by the String of Pearls Orchestra – as they have been for an amazing quarter-century – the IN THE MOOD singers and dancers are bringing the silver anniversary tour of their nostalgic 1940s tribute back to the Tampa Theatre stage for TWO shows on April 6 and 7! Celebrating its 25th anniversary tour this year, IN THE MOOD aspires to promote the memory of this most significant time in American history and continues to inspire across the generations. For more than two hours this big, retro event will hold audiences enthralled with its period costumes, fine vocal and orchestral arrangements, choreography by Broadway veteran Alex Sanchez, and sheer American pizzazz! Treasures such as Swingin’ on a Star, Tuxedo Junction, Boogie Woogie Bugle Boy, Sing Sing Sing, Chattanooga Choo Choo, I’ll Be Seeing You, La Vie En Rose, Take the A Train, The Last Time I Saw Paris, and – of course – In The Mood are just a small part of a program that leave audiences cheering. Tickets are $59.50 / $54.50 / $49.50, plus applicable service fees, and are available at Tampa Theatre’s historic Franklin Street Box Office ($63.00 / $58.00 / $53.00 total, including fees) and online ($67.50 / $62.25 $57.00 total). Unfortunately, there have been some changes to the tour routing, which made it necessary for the Tampa show dates to move from February 9 to the first weekend in April. IF YOU ALREADY PURCHASED TICKETS FOR FEB. 9, YOUR SHOW TICKETS ARE STILL VALID for the new, rescheduled dates. If you plan to use your ticket for the rescheduled date, no further action is necessary on your part, and your February 9 tickets will still scan at the door for admission to the April shows. On behalf of Tampa Theatre and IN THE MOOD, we apologize for the inconvenience and sincerely hope to see you all in April!